Last week Yorkshire Smokefree Calderdale teamed up with Illingworth ARLFC for a fantastic event, raising awareness of Stoptober and promote the Breathe2025 campaign message. 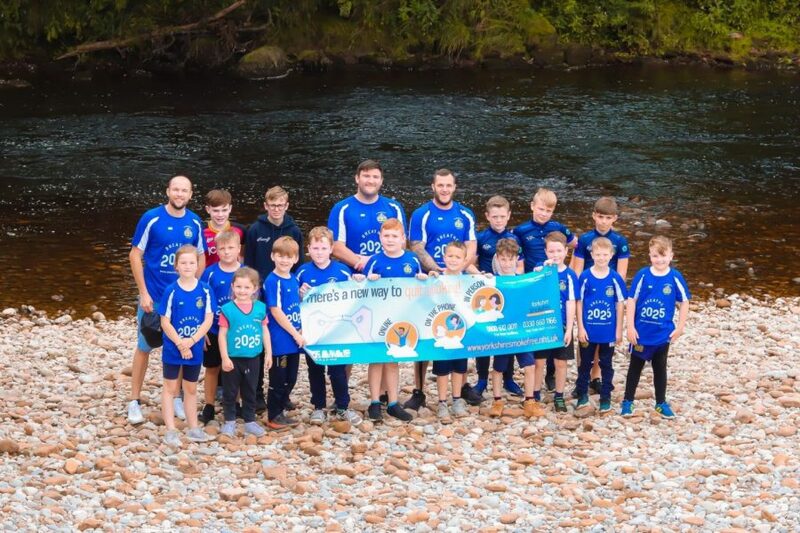 This year, the children completed a 4.8 mile walk around Bolton Abbey in North Yorkshire and helped spread the message about the importance of a smokefree generation. Since the completion of the walk, Illingworth ARLFC has encouraged parents to actively discuss the dangers of smoking. The event was a great success with numerous pledges made, which you can see on the Breathe2025 website. Stoptober starts next month. Get ready to quit smoking by contacting Yorkshire Smokefree on 0800 612 0011 (free from landlines) or 0330 660 1166 (free from most mobiles).